Our reasons for becoming financial professionals are deeply personal. We’ve seen many friends and family struggling to find the help they needed to make good financial decisions. 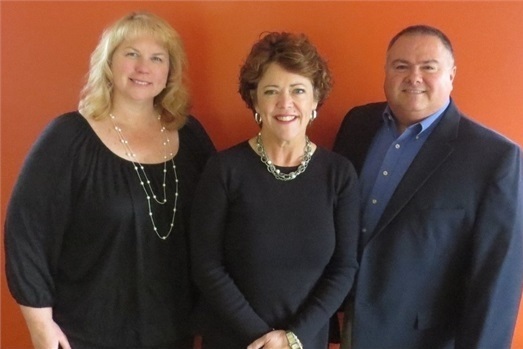 We have chosen to work as an independent firm so we can pay personal attention to our clients. Our initial consultations are complimentary. If you decide to hire us, we will outline how we are compensated, depending on what you decide to do. Your goals are our goals and we commit to working together on them, not on what pays us the most. While the best time to start was probably 10 years ago, the next best time is today. Call for a no-obligation consultation and find out if we are a good fit. We will de-mystify what steps need to be taken for your unique journey without lingo or jargon. What is understandable, is do-able…and getting to “Do-able” is what we are all about. 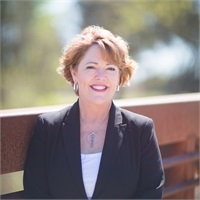 A Visalia native and long term resident of Hanford, Susan graduated from Westmont College in Santa Barbara and began her career in financial services after working for a successful property and casualty agent in the 90's. Intrigued by the more complex nature of personal finance, she went solo with John Hancock and Signator Financial in 1999, and formed Athena Financial Group in 2005. As a woman business owner/entreprenur, Susan is passionate about assisting women understand, manage and make money work for them. She specializes in assisting women in financial transitions, whether it is widowhood, divorce or sudden wealth. She has taught numerous workshops and seminars, including Savvy Social Security for Women, Becoming Your Own Prince Charming and Income in Retirment. Her mission is to help people connect to their money, formulate a plan that works and find reasons to stay on track. On her off time, Susan enjoys art, gardening, kayaking, and spending time with family and friends. Robert is a native of Hanford and a graduate of Westmont College in Santa Barbara. 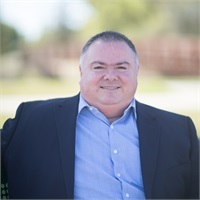 He began his career in the 1990s working with State Farm Insurance and, later, entered the financial services industry prior moving to Honduras in 2000, where he served with and eventually lead a mid-size non-profit organization, World Gospel Outreach. During the years that Robert lived and worked in Central America, he had many opportunities to continue learning, teaching, and helping others work toward their financial goals, both personally and organizationally. He and his wife Jennifer have now returned to Hanford, and he is excited to continue this passion of helping others set and pursue their financial goals. As a former small business owner, certificated teacher, and office manager extraordinaire, Dianna keeps things running at Athena Financial Group. With over 15 years as the owner of the Reading Clinic in Visalia, Dianna brings her organizational talent, love for people and processes and a flair for coordinating events to the mission and goals of the firm. She holds a BA from California University at Fresno and a Multiple Subject Clear Credential for the state of California. She has been a member of the Chamber of Commerce in Visalia as well as the Better Business Bureau. 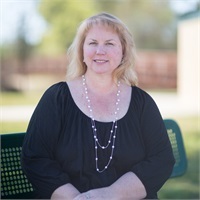 In her spare time, she volunteers for the American Cancer Society’s Relay for Life, Visalia Unified School District and the Valley Oak SPCA. Currently, Dianna is completing her Associate’s Degree in Paralegal Studies and holds her certification of authorization as a Notary Public. An enthusiastic advocate for women and financial planning, Dianna is eager to assist our clients with understanding and implementing their personal goals.